4C with pointier barrel end, S30, clipless, Bock Titanium M nib. Model 5 eye-dropper, S30 colour, polished finish, Fine Kanwrite nib in chrome finish. i requested thicker section with less tapering, and more like Ranga Majestic if possible. Thank you. Edited by sansenri, 11 March 2019 - 21:34. I'd say the Model 5 is pretty thick too - comparable to the 3C and the Majestic. The grip section on my Model 5 is certainly pretty 'meaty'! I suppose Mr. Kandan sends the email notification to everyone who has made a purchase with him in the past. Edited by ashutoshthakur, 14 March 2019 - 00:30. I think that's right: since I've participated in a few group buys now, I normally get an email from Mr Kandan, a day or two before the group buy goes up on FPN. No added discounts, though - just slightly earlier notice that it's on again! Edited by BaronWulfraed, 16 March 2019 - 18:53. 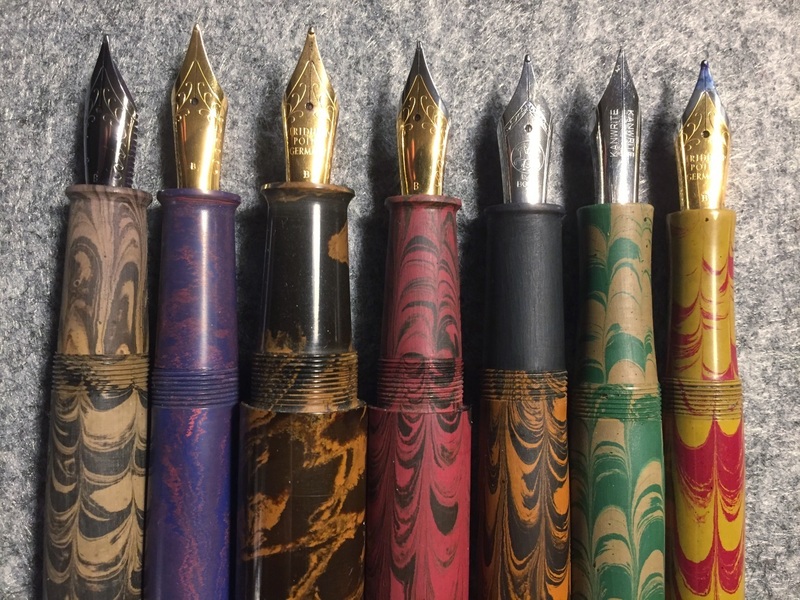 The kanwrite flex nib is basically the noodler's Ahab flex nib right? If so, I tried one at the store last week. It is not very soft, which is good for me, as it can be used for fast writing. I'm thinking of changing my order from the fine nib to the flex nib. Any thoughts? I just sent two Google forms and paid 148 USD in PayPal. * 4C / Clipless / golden brown (s24) / c/c mechanism / JoWo gold monotone Broad / Polished. * Bamboo / grass green (s28) / c/c mechanism / Bock dual tone Broad / Polished. My email address is different between the FPN and PayPal, but you can read "Larrabeiti" in both of them. Thanks Sir. I received it. We have crossed 120 responses already. Thanks for your awesome support.